William Roche was born in Limerick in 1775 to Stephen Roche and Sarah O’Brien in Limerick. His father was the son of John Roche, a Limerick merchant, and his mother was the heir to large estates in Rathkeale, Co. Limerick and Tuam in Galway. His uncle, Philip Roche, built the Mardyke Warehouse in 1787, which is now known as the Granary. The street sign he inserted during construction can still be seen today. His brothers, George and James, set up a wine exporting company from Bordeaux, France. James was imprisoned for 6 months in France during the French Revolution. After his release James returned to Ireland where he set up a bank in Cork with another brother, Stephen. 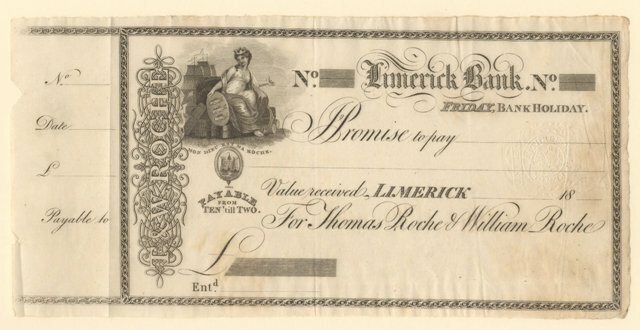 William set up a bank in Limerick with his brother Thomas, with whom he would remain in business with for over 20 years. William died unmarried and childless on 27 April 1850, his obituary was recorded in the Limerick Chronicle. 1819-1820 – National Bank Crash, they were the only bank to survive. 1824 – Only bank recorded in Pigott’s Trade Directory. 1825 – Acquired by Provincial Bank. 1966 – Acquired by A.I.B. Bank. William was the the first Catholic M.P. for Limerick. He was good friends with Daniel O’Connell, who was also born in 1775. Daniel O’Connell would stay with him while visiting Limerick. While in government he was very vocal on issues surrounding the emancipation of the Catholics, Jews, and opposed slavery. He was a Magistrate for Limerick and the first Roman Catholic in Ireland to become a Commissioner of the Peace. During his political career he would stay at 5 Duke Street, Westminster, London. In 1808 William Roche built his extensive garden to the rear of his bank on George’s Street to Henry Street, covering approximately an acre of land. These cost £15,000 which is the equivalent of €600,000 today. At its highest point the garden reached 70 feet above street level. The terraces were connected by stairways. The garden sat on a series of vaulted roofed stores. The floor of the garden was flagged and cemented together, and excess water was lead out of the garden by lead pipes to prevent leakage to the stores below. The soil in some of the terraces was 5 foot deep. The garden was heated and cooled by a series of flues, channels, vents ad windows. 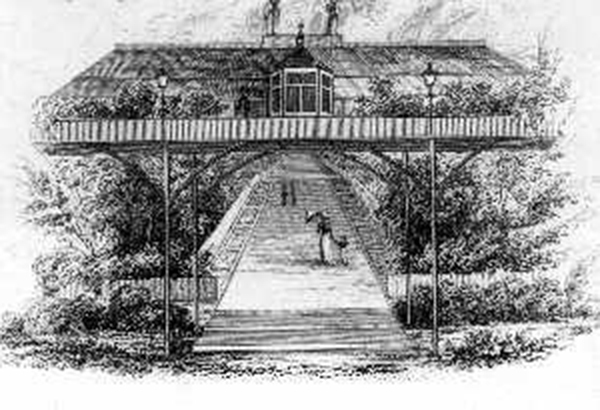 Top Terraces were hot houses, conservatories and glass houses. Here he grew: Grapes, Pineapples, Peaches, Oranges. Middle Terraces grew Pears, Apples, Plums, and Vegetables, with a section in the centre for Melons and Cucumbers. Bottom Terrace grew a variety of flowers.